“How grim things have become in our state, to see one of the great institutions in our country idle, belittled, weakened by a governor who does not care,” Kennedy said. 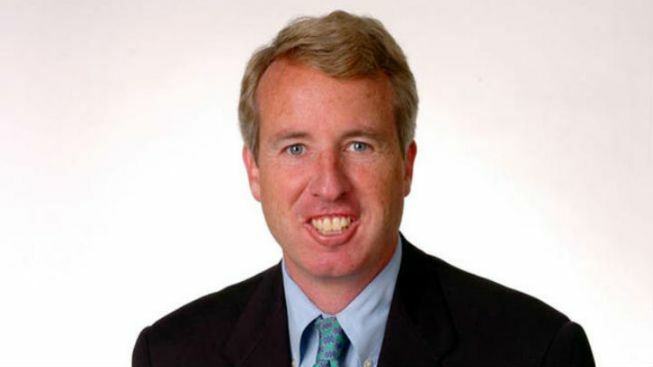 Democratic gubernatorial candidate Chris Kennedy slammed Gov. Bruce Rauner Thursday, faulting the Republican for Illinois’ ongoing budget stalemate. “How grim things have become in our state, to see one of the great institutions in our country idle, belittled, weakened by a governor who does not care,” Kennedy said during a “state of the state” speech to local pastors at Bethlehem Star Church. Kennedy, who announced his bid for governor last month, said job creators moving their companies to Illinois aren’t concerned with Rauner’s reforms, noting that he dealt with roughly 5,000 companies while serving as the president of Chicago’s Merchandise Mart. “Not one in 25 years ever said to me they were worried about coming to Illinois because of the we draw our state rep districts, or how we deal with tort reform, workers’ comp or term limits,” he said. “That agenda is B.S." Illinois Republican Party spokesman Steven Yaffe dismissed the claim, linking Kennedy to House Speaker Michael Madigan, Rauner's chief political foe. "Chris Kennedy keeps repeating Mike Madigan's talking points because he wants to be the Speaker's chosen candidate," Yaffe said in a statement. "Only a Madigan machine politician would call term limits, fair maps and job-creating economic reforms 'B.S.'" Over the past week, Democrats accused Rauner of derailing ongoing budget negotiations, while Grammy award-winning Chicagoan Chance the Rapper used a meeting with the governor to bring national attention to the city’s underfunded public school system. After the Illinois Senate failed to take action last Wednesday on items from its elusive “grand bargain," Senate President John Cullerton blamed Rauner for inserting himself in the ongoing negotiations. “Every time we get close, he moves the goal post,” Kennedy said Thursday.